$150 OR MORE, Internet Orders Only! *does not include custom cover orders. We keep your personal information private and secure. 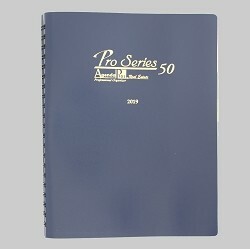 When you make a purchase from AGENDA PROS, you provide your name, email address, credit card information, address, phone number and a password. We use this information to process your order(s), to keep you updated on your purchases and to personalize your shopping experience. We do not sell or share our customers emails or other information. 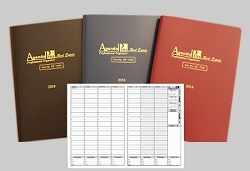 Boss Time Management Systems, Inc is now Agenda Pros, Same Great Product, Same Great Service....just a name change. Our Organizers/Planners are Manufactured in the U.S.A ~ We are Located in California. We ship to USA and Canada. Copyright AGENDA PROS/BOSSTIME. All Rights Reserved. with 3DCart Sell Online.